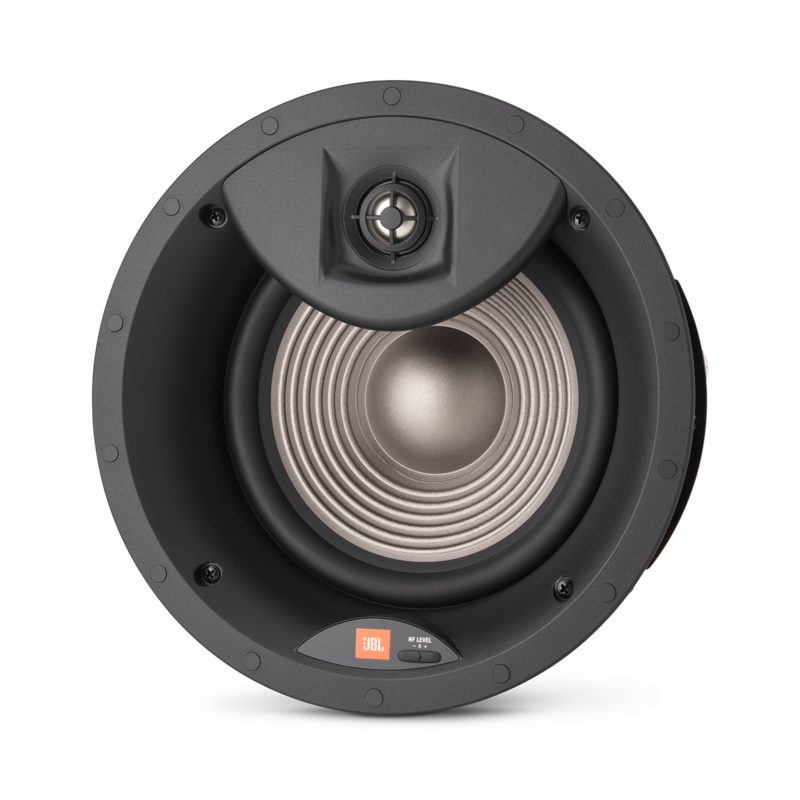 High Definition Imaging (HDI) waveguide technology takes its cues from the legendary JBL M2 Master Reference Monitor. Computer-optimized driver positioning and network integration result in ideal performance and lifelike soundstage imaging throughout the entire room, regardless of positioning. 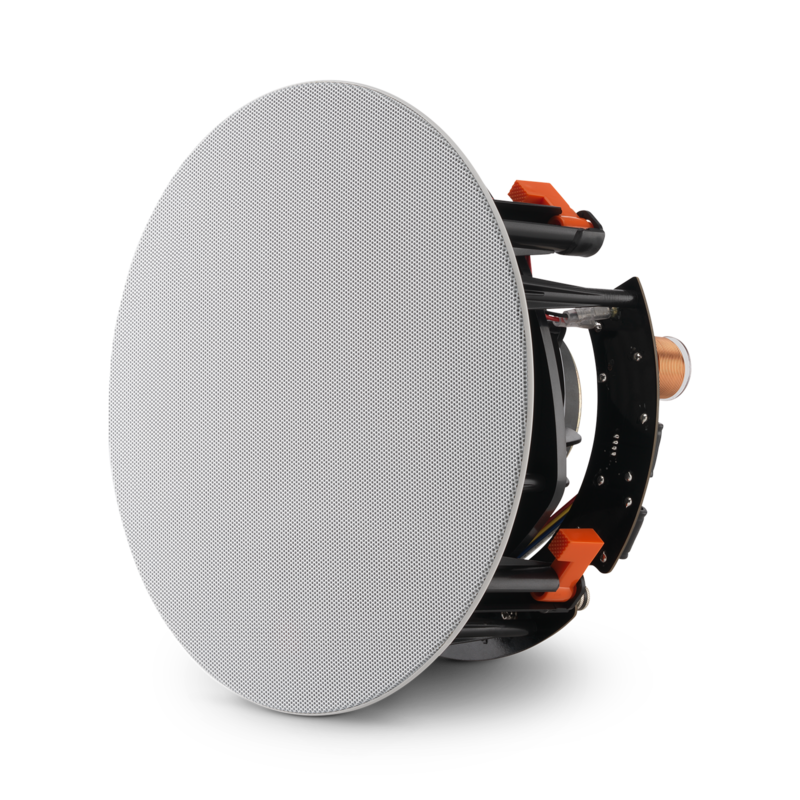 Proven acoustic superiority through rigorous testing and real-world evaluation. Speakers are nearly invisible, seamlessly blending into wall or ceiling architecture. Equally pleasing to audiophiles and interior designers as full-dispersion speakers can be fully painted and integrated into any configuration or setup. Engineered for the custom installer with a whole-room, seamless audio and visual design in mind. Sturdy, reliable design fit for easy installation in walls up to a full 2” thick. Specialty mechanical grip designed to minimize vibration regardless of installation format. Handles custom installation better than typical 1-1/2“ bracket designs. Pivoting tweeters let you target audio directly to your desired listening location. Install anywhere it suits you - even in high walls or ceilings - and adjust as needed. The apex of intelligent sound design and imaging. Fine-tune high-frequency highs and lows up to 3dB to suit room conditions and personal taste. Take full room audio immersion one step further by perfecting the details. Compensate for any acoustical configuration. Ideally the best surround sound setup would be to have the speakers all around (i.e 6 pieces of the STUDIO 55IW). Since you would like to keep the center channel and subwoofer non-architectural, you ought to stay in the same speaker series/brand. I would advise going with the STUDIO 225C for the center, and for STUDIO 250P or 260P for the sub. Also, make sure your receiver/amp is able to provide adequate power to the surround and center speakers. What is the difference between Arena 8IC, studio2 8IC or studio2 6ICDT? I am looking to replace my front speakers, I already have two JBL rear and a central speakers. The ARENA series speakers have different materials used in construction compared to the STUDIO series speakers. The ARENA uses Polycellulose for the speaker while the STUDIO uses Polyplas&reg; for the speaker. The ARENA 8IC and STUDIO 2 8IC have the same input power handling of 100W RMS while the STUDIO 6ICDT has a rated input power handling of 80W RMS. Different materials - understand. But what is the difference in performance in the Arena and Studio? I am looking at them for surround and back surround. Apart from the driver materials, both the Studio 2 and Arena architectural speakers are quite the same. 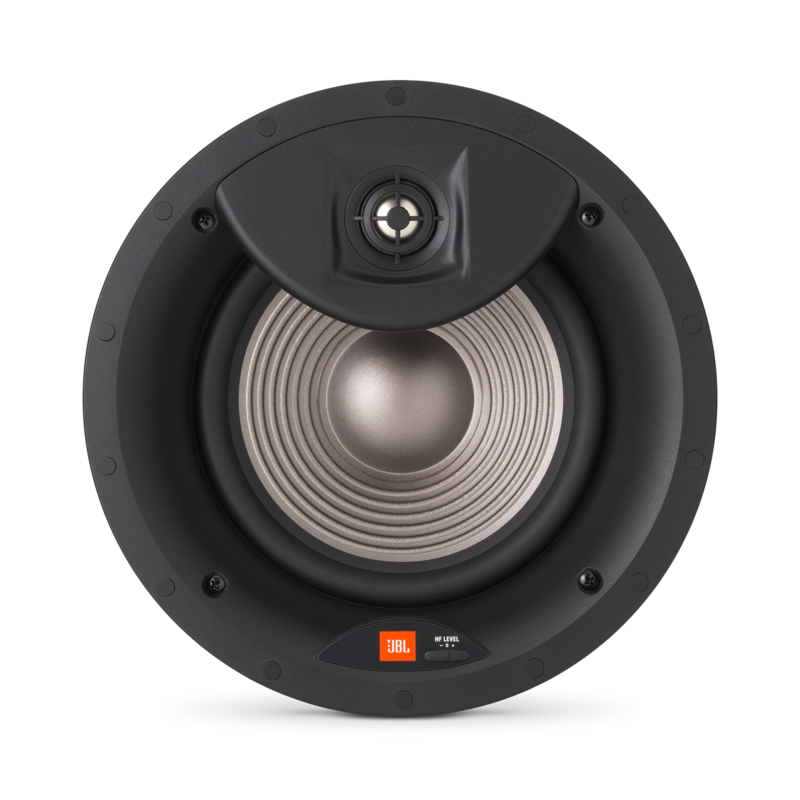 However, the Studio 2 series does deliver better high frequency versatility, thanks to the pivoting and level adjusting feature for the tweeter. 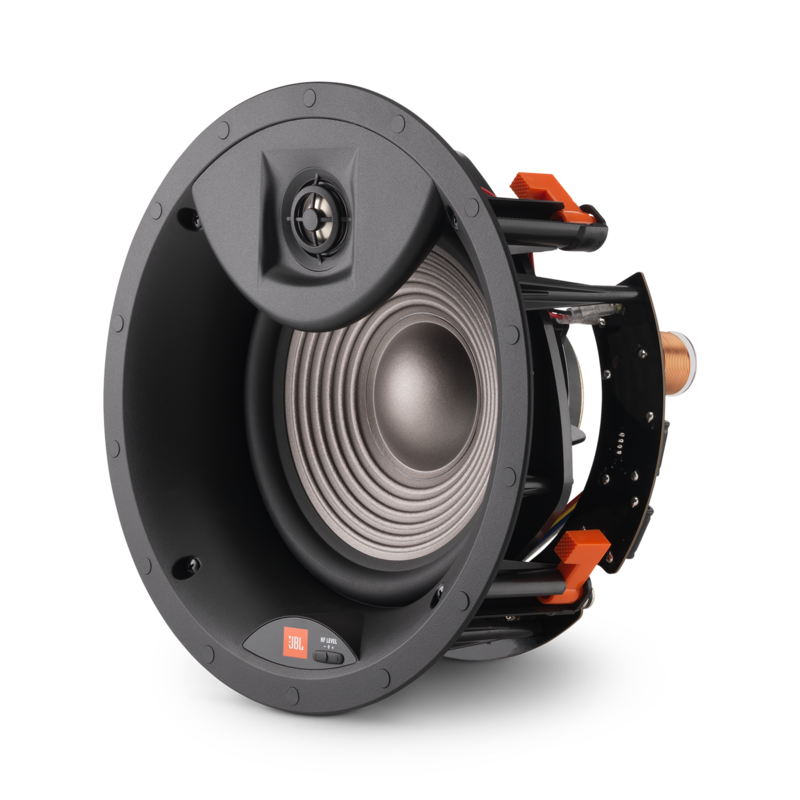 The pivoting feature allows you to position/direct the tweeter toward the listening area.The level adjusting feature allows you to tune the high frequency (Zero to -3dB) as needed. Does this come in pair or I have to buy 2 peice for 2 channel. We sell them per piece on our website. You'll need to buy 2 pieces for 2 channel. Is it possible to do a set of 5 ceiling speakers (Studio 2 8IC for center, L, R, rear L, rear R) to create a sound system for my TV or is this discouraged I. Favor of wall speakers for C, L, R? Ideally the best surround sound setup would be to have the speakers all around (i.e 4 pieces of the STUDIO 2 8IC). Since you would like to keep the center channel and subwoofer non-architectural, you ought to stay in the same speaker series/brand. I would advise going with the STUDIO 225C for the center, and for STUDIO 250P or 260P for the sub. Also, make sure your receiver/amp is able to provide adequate power to the surround and center speakers. 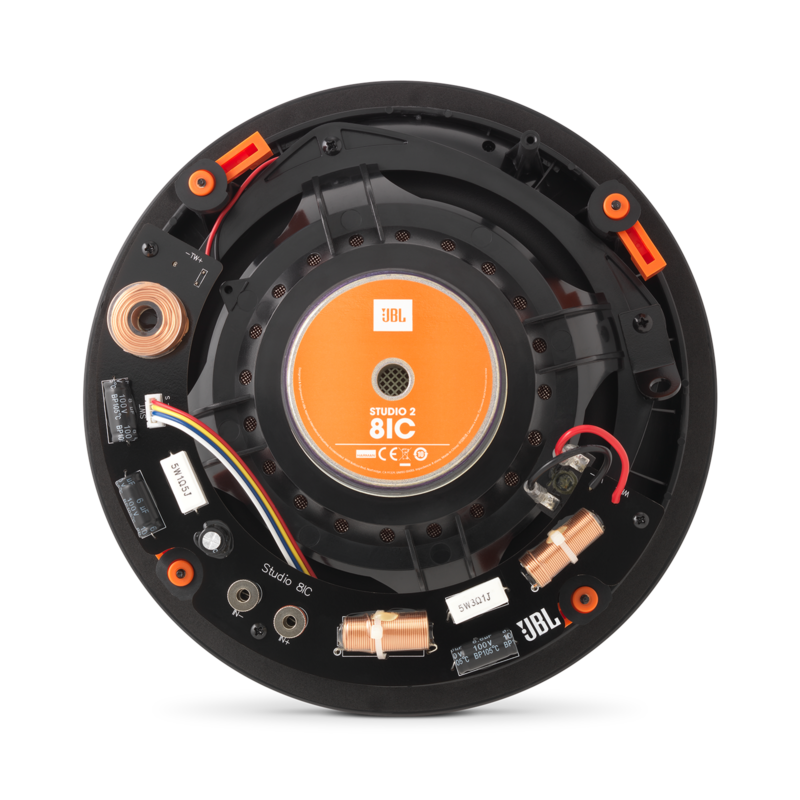 If this does not answer your question,Please submit a case request at https://www.jbl.com/support-contact.html and the Customer Service Team will be more than happy to assist you. What&rsquo;s the difference between this speaker and the&rdquo;arena 8ic&rdquo;? The only difference of the Studio 2 8IC with the Arena is that it has Pivoting tweeters that&nbsp;let's you target audio directly to your desired listening location and the Tweeter Audio Level Adjustment The High-Frequency Level control lets you fine-tune the speaker&rsquo;s high frequency output to compensate for various acoustical environments. If I am running (2) Studio 2 8IC per channel, what wattage amp should I use for that 4 ohm load per side. Application is more towards foreground rather than background music I also have 2 zones with one 8IC per side, what wattage amp for those zones?